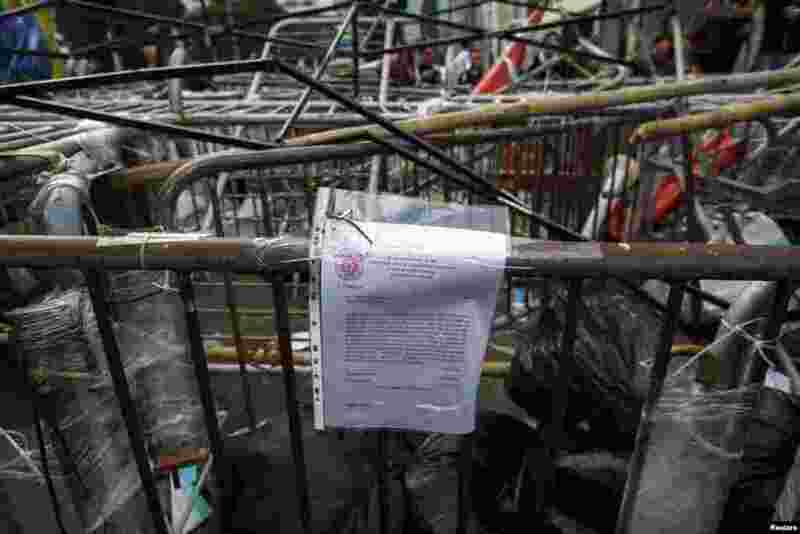 4 A injunction notice is displayed on a barricade set up by pro-democracy protesters at the main protest site in the Admiralty district Hong Kong, Dec. 9, 2014. 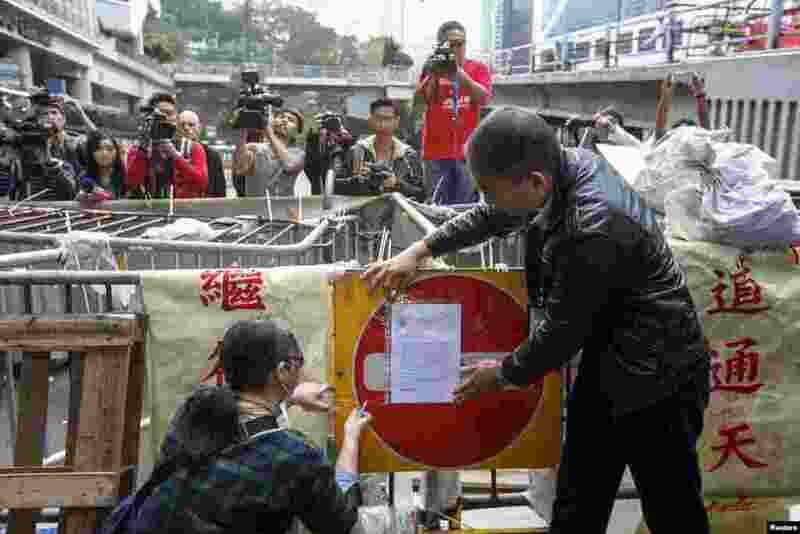 5 Bailiffs stick an injunction notice on a barricade set up by pro-democracy protesters blocking a main road at the financial Central district in Hong Kong, Dec. 9, 2014. 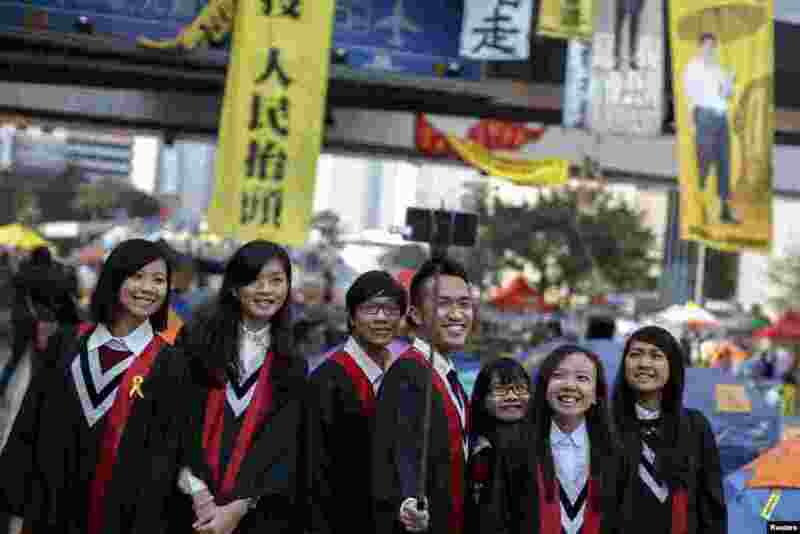 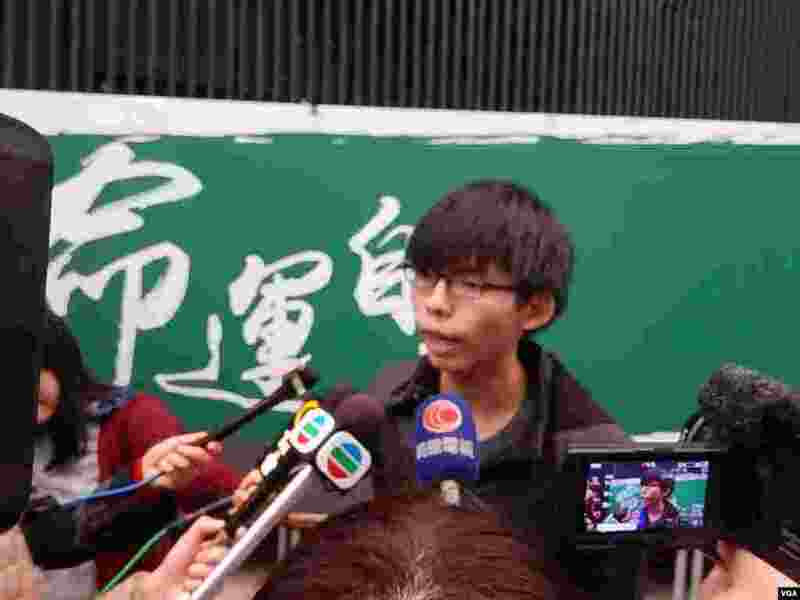 6 Graduate students have their picture taken at an Occupy Central protest site outside the government headquarters at Admiralty in Hong Kong, Dec. 9, 2014. 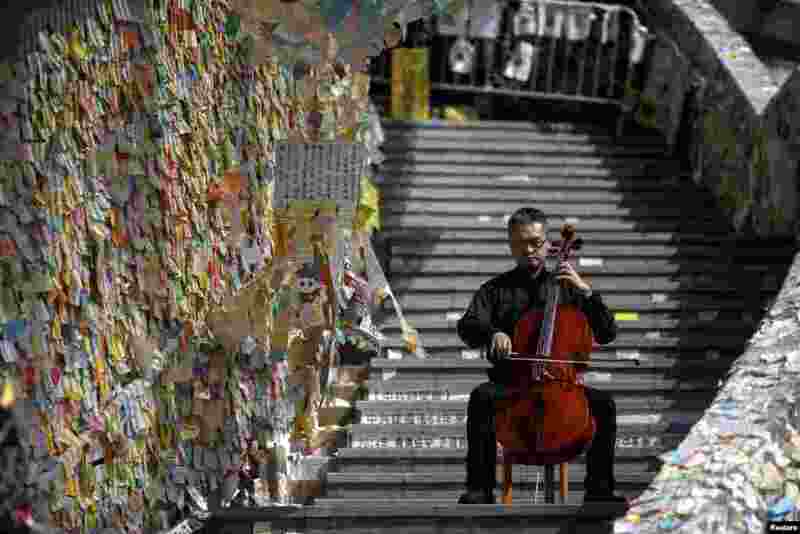 7 David Wong, a 41-year-old cellist, performs in front of a wall posted with messages of support for pro-democracy protesters at Admiralty district, Dec. 9, 2014. 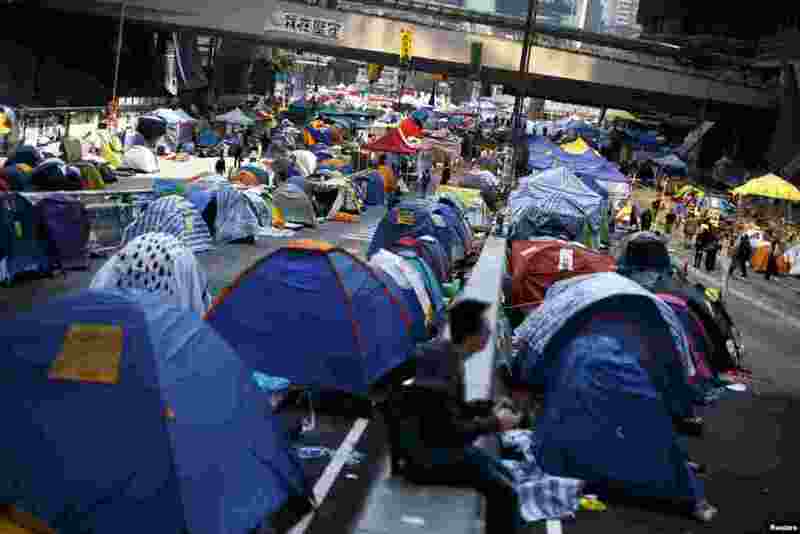 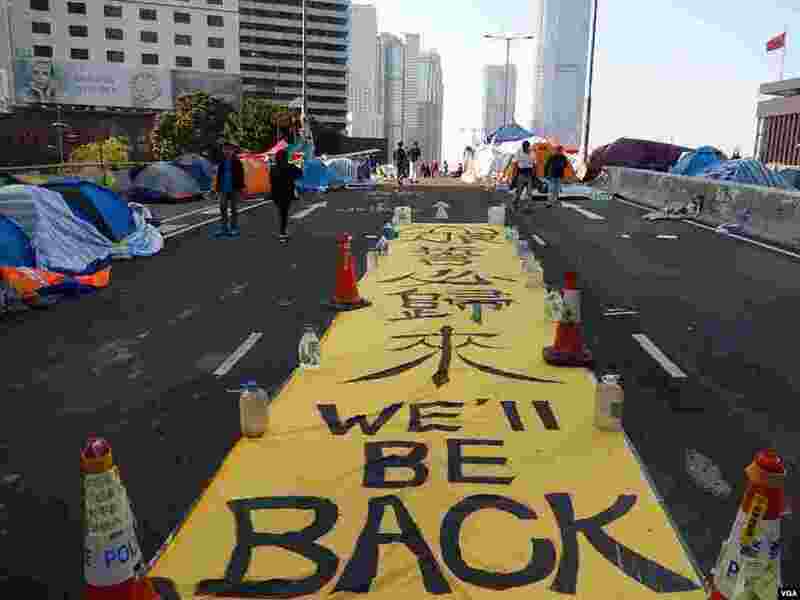 8 Protesters and tents occupy the main road to the financial Central district in Hong Kong, Dec. 9, 2014. 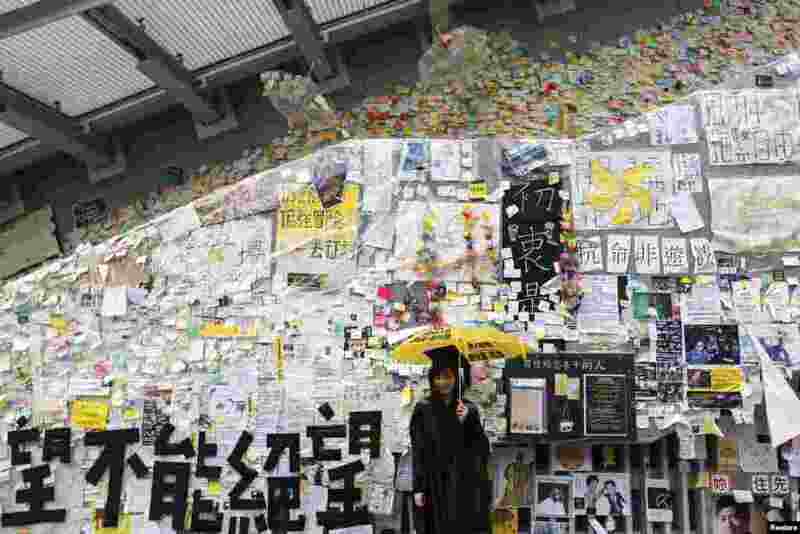 9 A woman in cap and gown holds an umbrella as she has her picture taken in front of a wall with messages of support to pro-democracy protesters at Admiralty district in Hong Kong, Dec. 8, 2014. 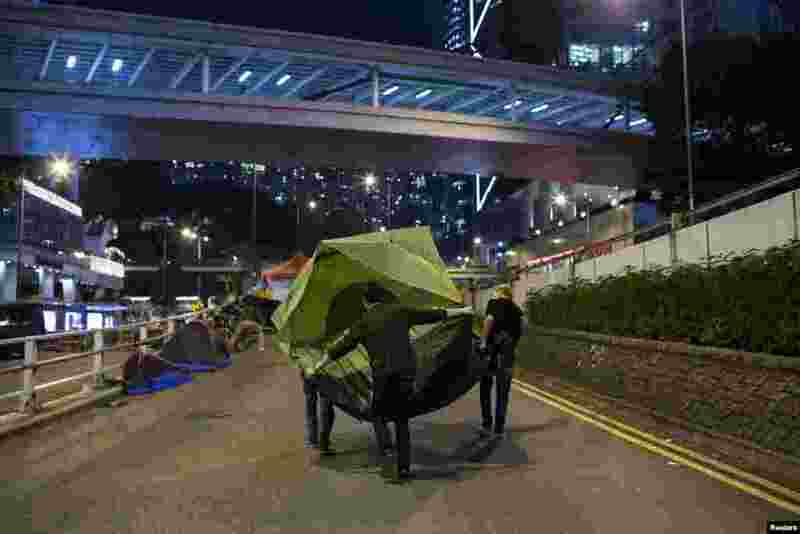 10 Pro-democracy protesters move a tent along a road outside the government headquarters at Admiralty in Hong Kong, Dec. 8, 2014.